Carolyn Janice Cherry (born September 1, 1942), better known by the pen name C. J. Cherryh, is an American writer of science fiction and fantasy.The Science Fiction and Fantasy Writers of America (SFWA, Inc.) is pleased to announce that C. J. Cherryh has been named the 32nd Damon Knight Grand Master for her contributions to the literature of Science Fiction and Fantasy. The Damon Knight Memorial Grand Master Award is given by SFWA for “lifetime achievement in science fiction and/or fantasy.” Cherryh joins the Grand Master ranks alongside such legends as Gene Wolfe, Anne McCaffrey, Ursula K. LeGuin, Isaac Asimov, Ray Bradbury, and Joe Haldeman. The award will be presented at the 51st SFWA Nebula Conference in Chicago, IL, May 12-15, 2016. C.J. Cherryh won the John W. Campbell Award for Best New Writer in 1977 and three Hugo Awards, including the Best Novel Award for Cyteen and Downbelow Station. In 1998, Cherryh was the Guest of Honor at the World Science Fiction Convention. 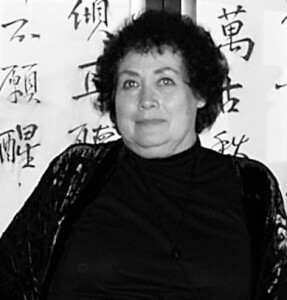 In addition to her Hugo winning works, Cherryh is the author of The Faded Sun series, the long-running Foreigner series, and the Chanur books. Her writing spans the breadth from space opera to historical fantasy.